Have you ever had one of those delicious pickles from a Jewish Deli and thought it was the best ever? Good chance it was a Half-Sour Pickle! Half Sour Pickles are some of my favorite pickles. The best part is they are ready to eat only a few hours after making them. Guaranteed they won’t be around for long! 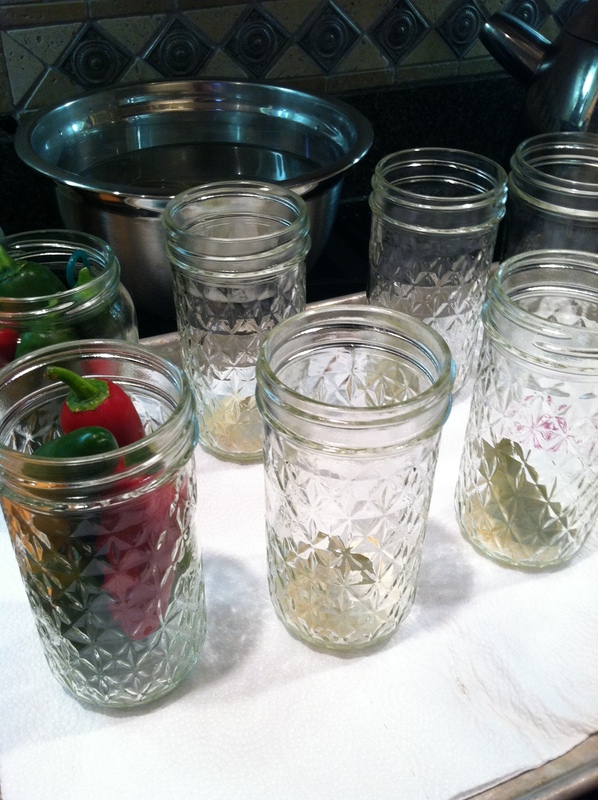 As they age, they move into full sour pickles but that’s just because the cukes get to stay in the brine longer. Honestly, they never last that long in my home. 3 ounces salt- use a scale and weigh it! 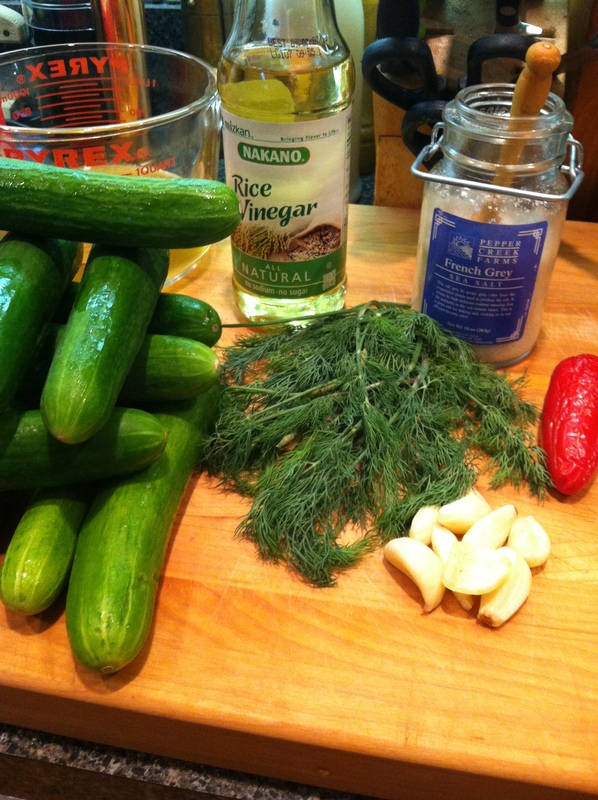 Place the dill, garlic, and bay leaf into the bottom of a 1 quart wide mouth canning jar. Pack the cucumbers on top. 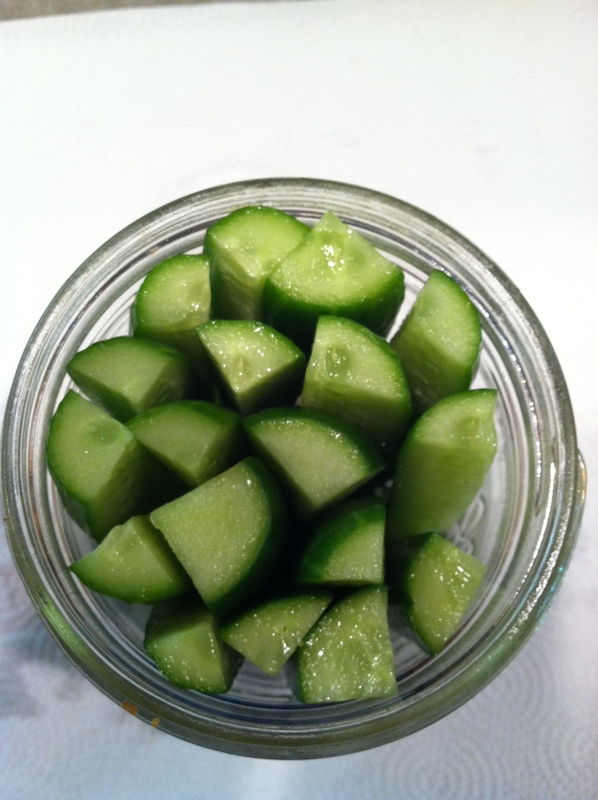 Bring the water, salt, and vinegar to a boil, pour directly over cucumbers. Place the canning lid on the jar, turn upside down and cool. Refrigerate. 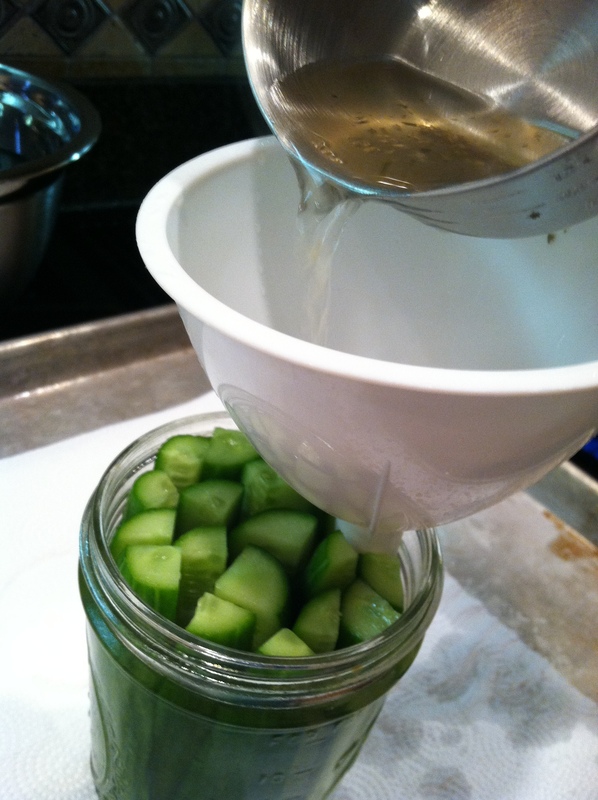 Allow pickles to steep 24 hours before eating. 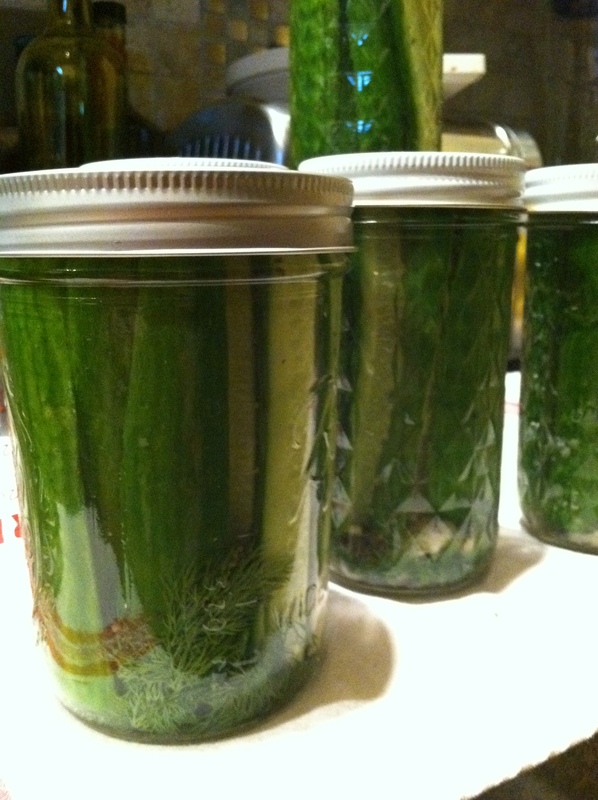 The pickles will change from half cured to a fully cured pickle the longer they sit in the brine. They are good until they are gone, which won’t be long. Adding dried onion flakes and jalapeno slices to the seasonings will add flavors as well. If you like your pickles spicy, try it. This brine can also be used to pickle an excess of jalapenos and zucchini spears can be substituted for cucumbers if you like. This is a quick and easy pickle. Try making some soon. There’s nothing quite like a fresh pickle along side a sandwich or any kind of charcuterie. This entry was posted in Recipes, What every good cook should know and tagged cucumbers, making pickles, pickles, things good cooks need to know. Bookmark the permalink.